Two banks—one from Florida and one from North Carolina—have recently decided to merge. The chairmen and chief executive officers of First Citizens Bank and HomeBancorp recently made the announcement that the two companies signed a merger agreement. According to the agreement, North Carolina-based First Citizens Bank will be acquiring HomeBancorp, which is headquartered in Tampa, Florida. HomeBancorp offers services such as retail banking and loan products for small businesses and commercial mortgages. The boards of directors from both banks have approved the acquisition, which is expected to become effective by the second quarter of 2018. HomeBancorp shareholders must approve the transaction first, plus there are regulatory approvals that must be received. HomeBancorp shareholders will receive $15.03 for each share of stock. The bank has 13 branches throughout Florida, including Tampa, Winter Park, Lake Mary, Sarasota, Clearwater, Kenneth City, Belleair Bluffs, Largo, St. Petersburg, Largo, Dunedin, Pinellas Park and Westchase. The branches will become First Citizens Bank once the merger has been completed. In the meantime, customers may continue to bank as they normally would. First Citizens Bank, which was founded in 1898, is excited about the opportunity to expand its services and footprint into the Tampa and Orlando markets. The bank currently has 15 branches throughout northeast, southeast and southwest Florida. HomeBancorp, which was founded in 2007, also believes that the merger is in its best interests. Shareholders, customers and employees will all benefit from the expanded lending capabilities and other services. The terms “merger” and “acquisition” are often used interchangeably in the business world. However, they are not the same. An acquisition occurs when one company takes over another company and becomes its new owner. In an acquisition, the purchased company no longer exists. The other company absorbs the business, with its stock no longer traded. A merger, on the other hand, occurs when two firms that are approximately the same size become one single company. They are no longer separately owned. The companies no longer trade their individual stocks. Instead, new stock is issued. Basically, a merger or acquisition is determined by how the purchase takes place. When both CEOs agree on the purchase, it is often considered a merger. When the deal is unfriendly and one company does not want to be purchased, it is often referred to as an acquisition. In this case, since both CEOs were on board with the purchase, it would be considered a merger. Companies often merge together to become more powerful and successful than they were individually. When companies begin to struggle financially, merging with a similar company makes them more cost-efficient and competitive. Mergers and acquisitions are often attractive to shareholders, but can be confusing for company owners, who must now take on the liabilities of both companies. 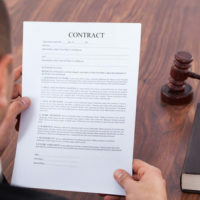 Orlando merger and acquisition lawyer B.F. Godfrey from Godfrey Legal can help you with the complexities of a merger. He has more than 30 years of experience in this area. Contact Godfrey Legal at (407) 890-0023 for a consultation. © 2017 - 2019 Godfrey Legal. All rights reserved.